Personal History： Graduated from the Open University of Japan and obtained the master’s degree from the graduate school of the above university. 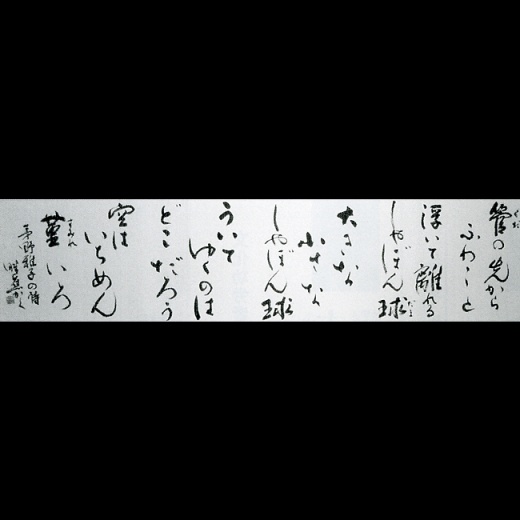 Selected in the Mainichi Calligraphy Exhibition, Sankei International Calligraphy Exhibition. Received the Nagaoka Kyo City Culture Award, Recommendation Award from Japan Calligraphy Museum, Merit Award from China-Japan International Art Exhibition and selected in many international exhibitions overseas.